When Parker Collins, a gifted writing student at Southern Oregon University in Ashland, fails to show up for the first day of fall classes, his frantic girlfriend, Rishima Reynolds, files a missing person’s report. Though Parker has a history of alcohol abuse, disorderly conduct, and truancy, she insists he is committed to his writing classes, and is adamant something is very wrong. Persuaded by the depth of her conviction, Radhauser drives up to a cabin at Sunset Lake where Parker spent the last month finishing a novel. It’s a manuscript his mentor, Professor Madison Hollingsworth, claims is brilliant. The Hollingsworth cabin has been trashed—the padlock on the liquor cabinet cut and empty bottles are strewn around the kitchen. It appears Parker has gone on a binge and disappeared with the Hollingsworth boat. Radhauser knows appearances are often deceiving. He returns to Ashland, hoping Parker is out on the lake and nursing a gigantic headache. But something about the cabin scene nags at Radhauser and won’t let him go. The following morning, 72-year-old Homer “Sully” Sullivan, one of the lake’s few year-round residents, finds a bloated body floating face-down near his cottage. He phones Radhauser, terrified it could be Parker Collins—the boy Sully befriended and has come to love. Will this missing person’s case become a murder investigation? 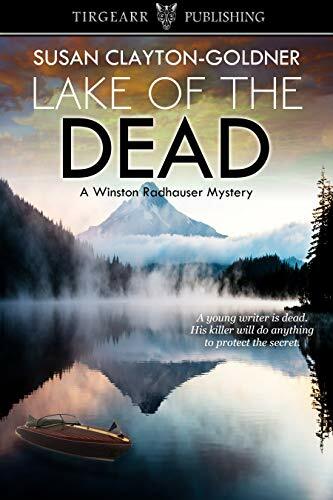 Click here or type in http://geni.us/lakeofdead into your web browser to pick up your copy of Lake of the Dead in the Amazon Kindle store. 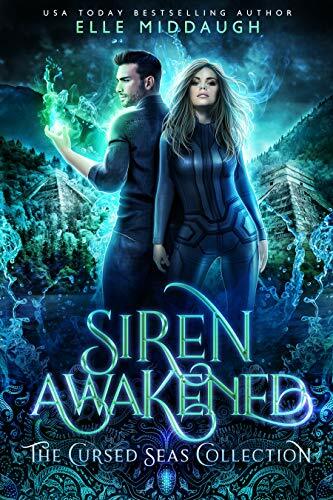 Click here or type in http://geni.us/siren into your web browser to pick up your copy of Siren Awakened in the Amazon Kindle store. and all hell could break loose. After a twenty-year stint in an Illinois Penitentiary, drug-dealing murderer and rehabilitated gangbanger Damone Watson’s cleaned up. Not only has he found Jesus in his new digs in the Twin Cities, he’s also become a peacemaking darling of local Minneapolis media in the midst of a police brutality crisis. But not everybody buys his come-to-Jesus act—favored mayoral candidate Jalen Bryant and beloved black minister Lionel Ferguson included. And their motives aren’t exactly virtuous. Meanwhile, Marc Kadella’s twiddling his thumbs in court—bored, even—while his new love and longtime confidante Maddy Rivers is on a divorce stakeout. She’s agreed to tail the much younger husband of beloved old friend Vivian Donahue’s troubled, drug-addicted niece, Nicolette. Seems the husband has, indeed, been having an affair with another older divorcee, but all goes awry when Nicolette shows up in the middle of Maddy’s surveillance to calmly blow both the husband and the lover away. And then offs herself. Enter fan-favorite Tony Carvelli to investigate the husband who, surprise surprise, isn’t at all who he seemed. As tension in the cities continues to escalate—with media pieces aimed at the MPD fanning the flames—star defender Marc Kadella, gorgeous yet scrappy PI Maddy, the ever lovely Vivienne, and hard-nosed investigator Tony Carvelli all find their work loads intricately entangled in ways they never could have imagined. Because the body count’s about to rise—and Marc’s about to sign up to defend a cop accused of shooting an unarmed black man. Fed up with drug rings, gangs, police violence, and the connections between them, the mob-fueled Twin Cities are going to explode. 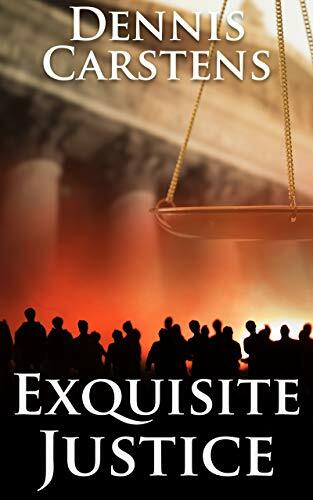 Click here or type in http://geni.us/exquisite into your web browser to pick up your copy of Exquisite Justice in the Amazon Kindle store. 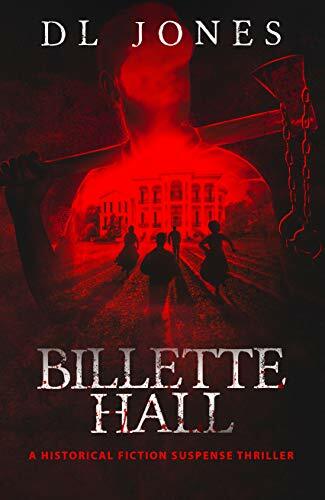 Click here or type in http://geni.us/billettehall into your web browser to pick up your copy of Billette Hall in the Amazon Kindle store. If you have ever loved a dog, then you understand the profound company and joy they bring into your life. Our canine companions often enter our lives in unexpected, magical ways, and almost always when we need it most. Ludo, a strong Alpha male German shepherd with a larger-than-life personality and Melody a young high-spirited woman need each other more than they know. An unbreakable bond that can only be formed by one meeting their true canine soulmate is forged as the two battle the best and worst life has to give them. Will the relationship between the two be enough to help them rise to the top, or will they find themselves lost in life’s darkness walking in a vicious circle? Click here or type in http://geni.us/yourewelcome into your web browser to pick up your copy of You’re Welcome in the Amazon Kindle store. Something borrowed, something blue, something not so charmed. The wedding day has arrived for Halloween LaVeau. Will this be happily ever after for Hallie? Or will her leadership status of the Underworld jeopardize her relationship and produce deadly consequences? 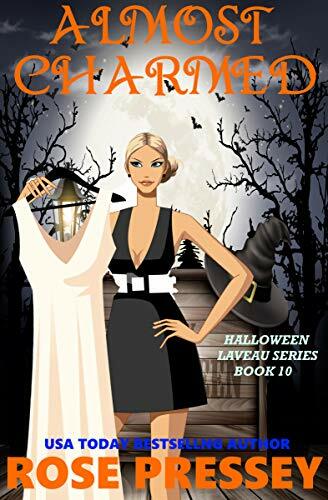 Click here or type in http://geni.us/almostcharmed into your web browser to pick up your copy of Almost Charmed in the Amazon Kindle store.